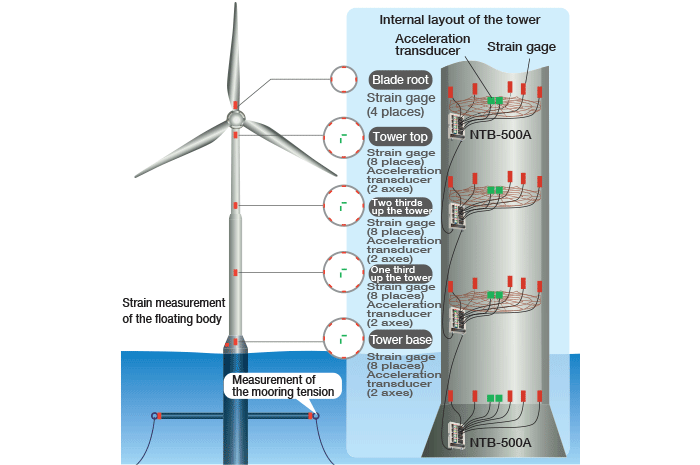 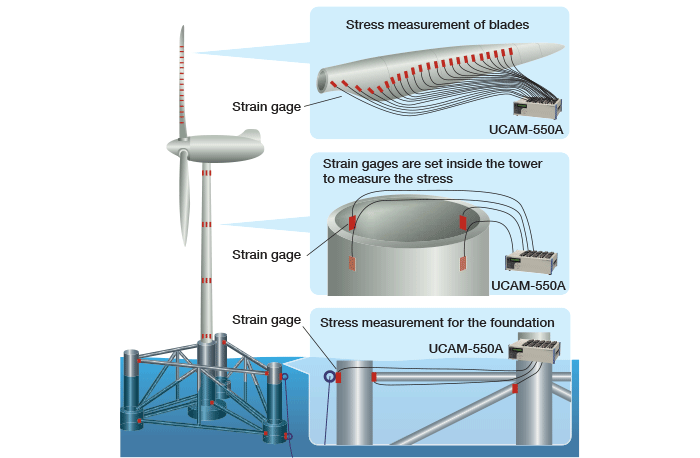 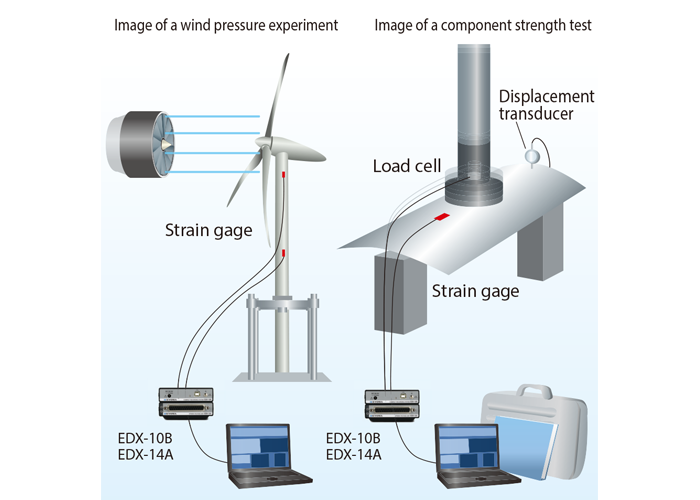 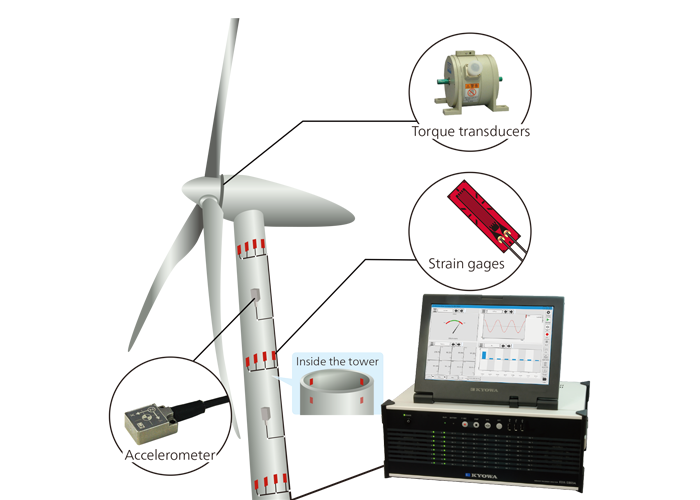 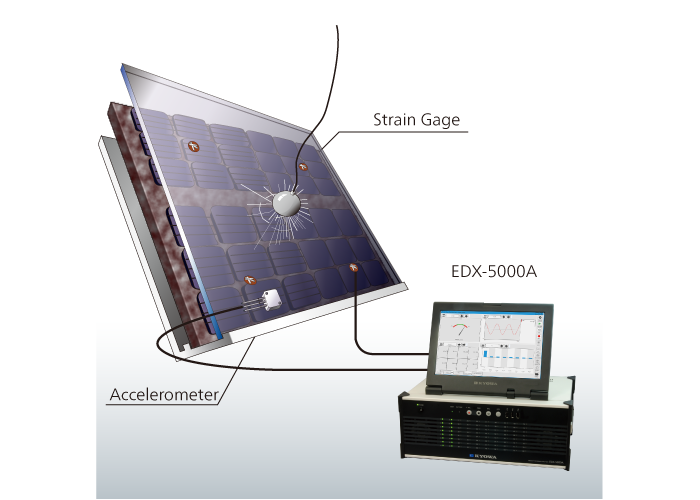 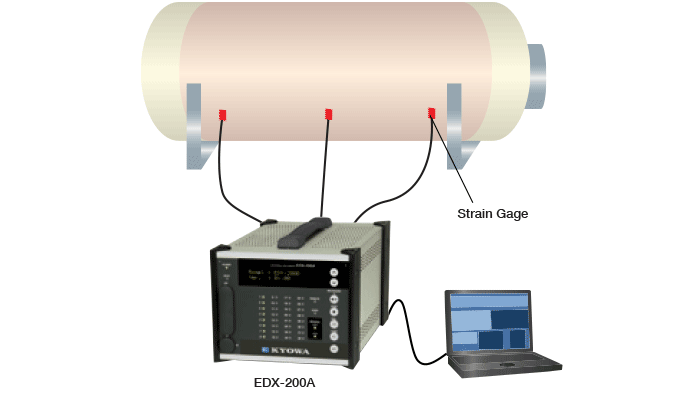 KYOWA Memory Recorder/Analyzers, EDX-5000A, enables a variety of measurements for wind power generation (e.g., member stress, acceleration, torque, and displacement). 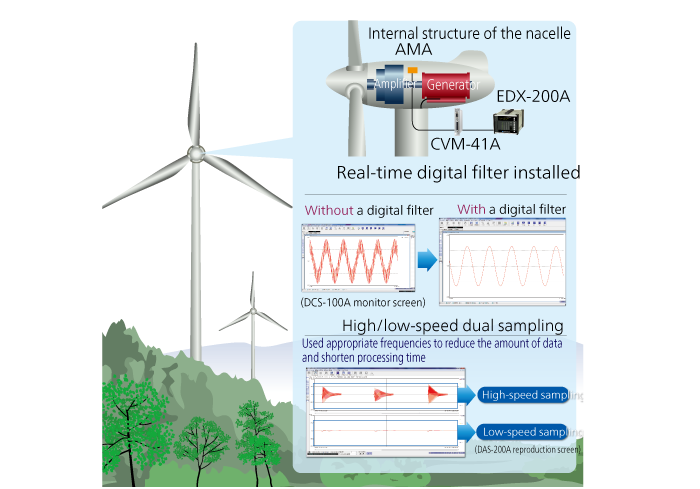 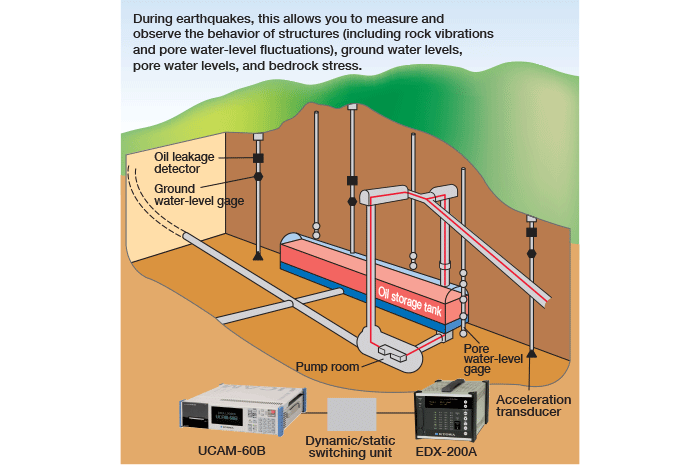 KYOWA Fast Data Logger, UCAM-550A, simultaneously measures 1,000 channels at 50 Hz. 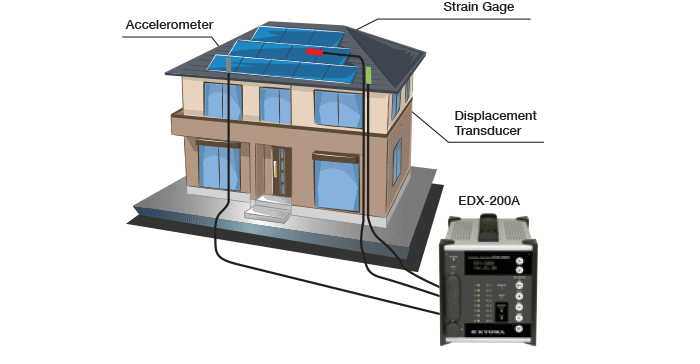 Can synchronize up to 20 units with just a LAN cable. 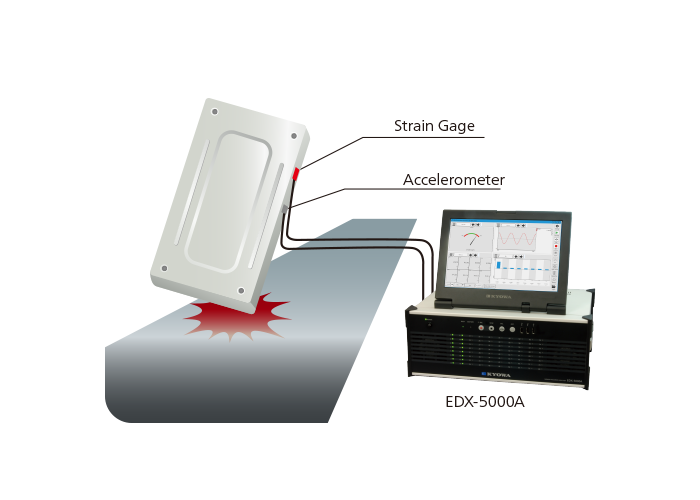 KYOWA Medium Speed Network Terminal Box, NTB-500A is compatible with CAN communication, and can handle up to 64 channels (8 channels per unit).